This year marks the 10 year anniversary of my book club and to celebrate I'll be writing a post every month about our 10 favorite books, 10 favorite recipes, 10 favorite book characters etc. 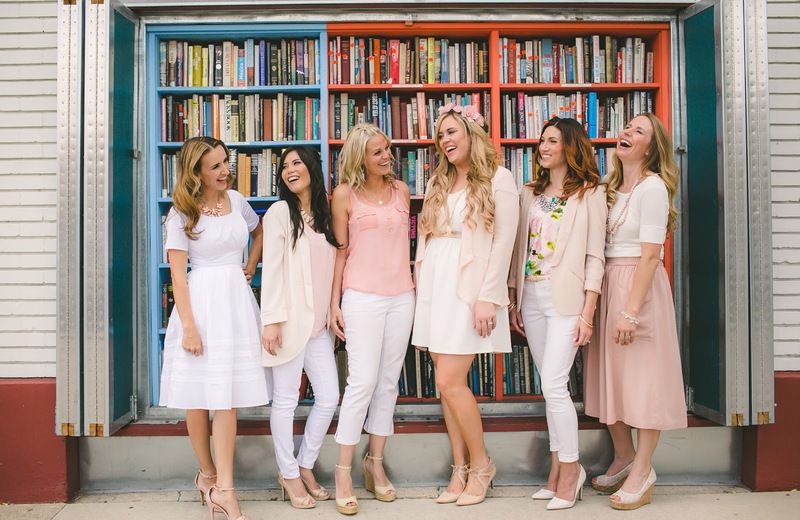 I can't wait to spend the year reminiscing about our book club journey! 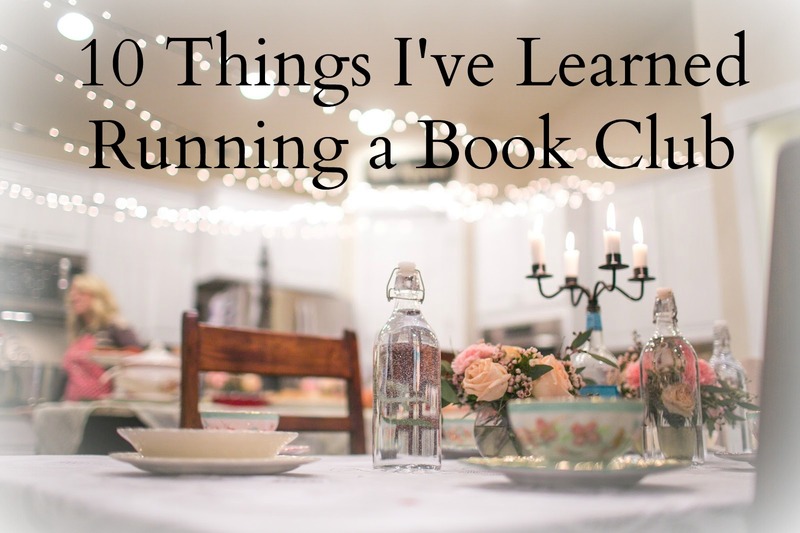 And with that, let's begin by hearing about the 10 things that I've learned running a book club. 1. STARTING A BOOK CLUB IS EASY. KEEPING IT RUNNING IS HARD. Soon after I got married my husband and I moved into our new house and I didn't know anyone. Our neighborhood was a fairly new one and most people were still getting to know each other so that's when I decided to start my book club. I went out to the local scrapbook store (do they still have those?) and painstakingly created 20 handmade book club invitations stating what book I picked to read (The Five People You Meet in Heaven) and that if they were interested in joining, to come to my house three weeks later to discuss it. Our first meeting day came and I had about 10 people show up, Success! I had started a book club. 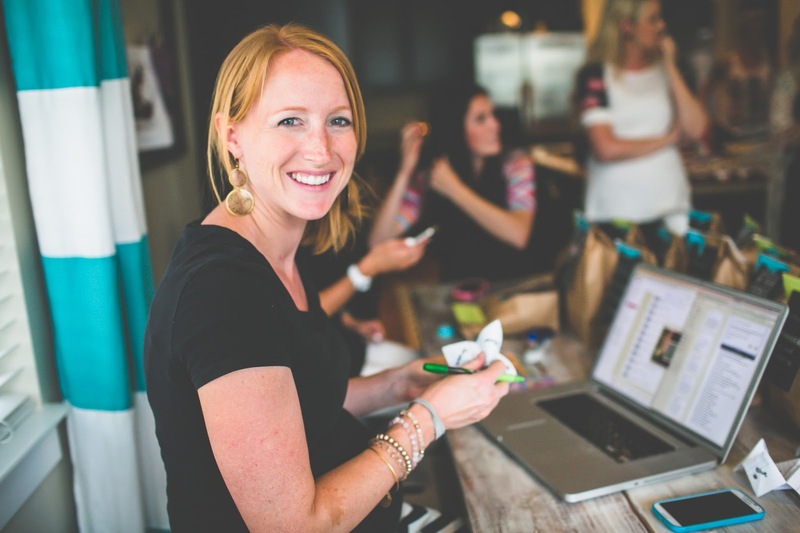 I remember thinking, that wasn't too hard, BUT, after several meetings of not setting good book club ground rules and trying to do everything myself, I watched as my members dwindled and I knew something had to change. Starting a book club is easy, keeping it running is hard. *Are you interesting in starting your own book club? Connect with me if you have questions or check out this article about starting your own book club. 2. EVERY BOOK CLUB NEEDS A PRESIDENT. It's true, every book club needs a president, head honcho, chief, captain, the big cheese, high wizard, or whatever term you prefer, somebody needs to take the reigns of responsibility of keeping the book club running. In the beginning I was worried about taking control of the group and being in charge because I didn't want to be mistook for a dictator but every group needs someone to keep the ball rolling. I quickly learned that being a leader isn't about the role, it's about the goal and our group's goal was to enjoy gossiping about good books! As soon as I accepted the role of being the book club high wizard (my preferred title) I set to work creating a few ground rules and different ways that members could be more involved. P.S. If there isn't one person who wants the responsibility of being in charge all the time, then consider "knighting" someone to be the book club president for the year and at the end of the year they would then pass the baton onto a new member to be in charge. That way everyone gets to share the responsibility. 3. MEMBERS WANT TO BE INVOLVED. In the beginning of my book club I believed it would encourage people to want to come if I was the one doing all the work, (send the emails, make the food, come up with discussion questions etc). 1. I lightened my work load. 2. I gave my members that extra push to make sure they came to book club. 3. I started to create the community I had always envisioned. Everyone started to CARE about book club the way I had always cared about it. 4. NOT ALL MEMBERS WANT TO BE INVOLVED IN THE SAME WAY. Although, I learned I had to be careful about not pushing or encouraging members into taking on a position that they didn't volunteer themselves for because not all members want to be involved in the same way. Some members LOVE being the Moderator and coming up with discussion questions, the theme and menu for our night and thrive on putting together a beautiful book party. While some of my members would rather dive into the arctic ocean before being in charge of our entire evening. 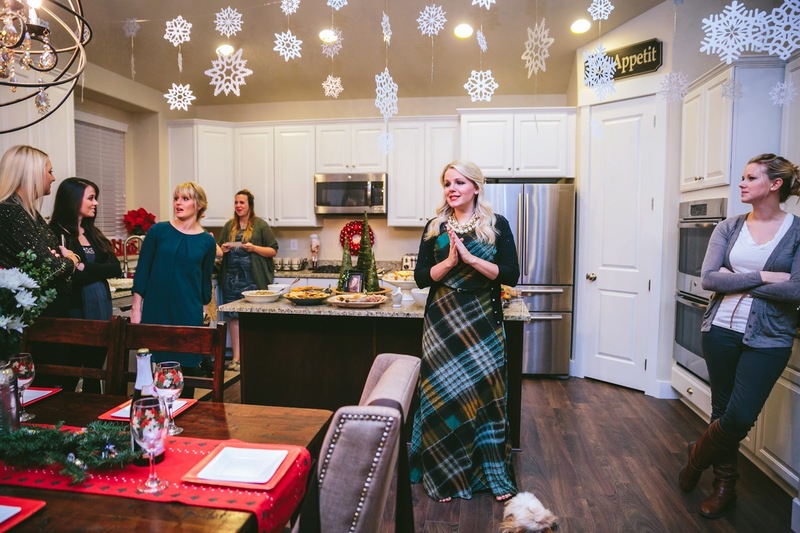 Some of my members thrive on planning and creating events while other members adore cooking and pouring their love into a dish they prepare and bring for our dinner. I've learned that's it's perfectly okay to let members thrive where they are comfortable, even if that means some some of them never take on one of the main positions other than coming with great thoughts for our discussion. Everyone has something to offer and I never want book club to be a place where someone isn't comfortable. Let members be involved how they choose and your book club will thrive. One of the most fundamental human needs is the need to belong. We want to be part of a group and to feel loved and accepted by others. That is, we want to be a member of a tribe. A tribe - or a pack, clan, elected family, posse, crew, network, or true friends – is a group of people who share common interests and values and show genuine appreciation and care for each other. Tribe members are those people who accept you just as you are, and who want the very best for you. Make sure you feel like you have "tribe members" in your book club, people who understand you and support you, especially if you are dealing with a book-hangover after one of your favorite characters doesn't make it to the end. ;) My book club is my tribe and I know that's why I love our meetings so much, because I get to spend time with my people. At our last book club retreat I surprised all of my members with their own Tribal Bracelet to remind them, they are my people and we are a book loving tribe. 6. CHOOSE YOUR BOOKS WISELY. Choosing what books to read as a group is a delicate business. People join book clubs for a variety of reasons: to be accountable for reading, to connect with others through books, to challenge themselves to think and feel in new ways. 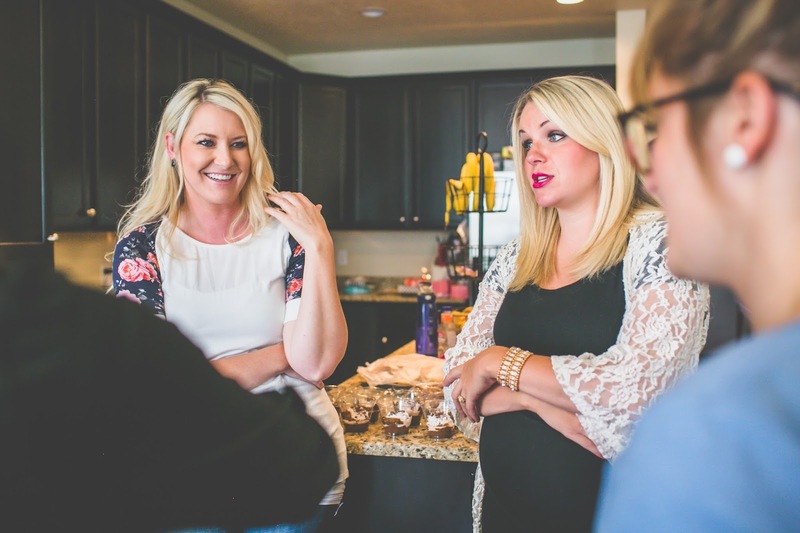 The varying personalities that come together to make up a book club often determine the personality of the book club itself as well as the book selection process. Look, I've tried so many approaches to choosing our book club books over the years and there's no one perfect way to do it. You have to be thoughtful of YOUR groups needs, sensitivities, interests and personalities so do what works best for you. But after 10 years of stress, anxiety, panic and yes, even a few tears, here is what I've found works best for me and my members. Instead of stressing over what book to read month to month, or even quarterly, we prefer to choose our entire years worth of books. I know there are articles out there saying DON'T choose your whole year at once in case there are new books that come out you would rather read or it's not fair to members who can't be there when you choose your books but listen to my reasons for choosing this method. By choosing all 12 of our books at once, it allows my members to buy/borrow and read the books at their own leisure and pace. It also allows us more time at our meetings to talk about the book we read and met for, instead of having to save time at the end deciding what book to read next. And the best reason of all, it allows us to host our annual BOOK CLUB RETREAT every November! 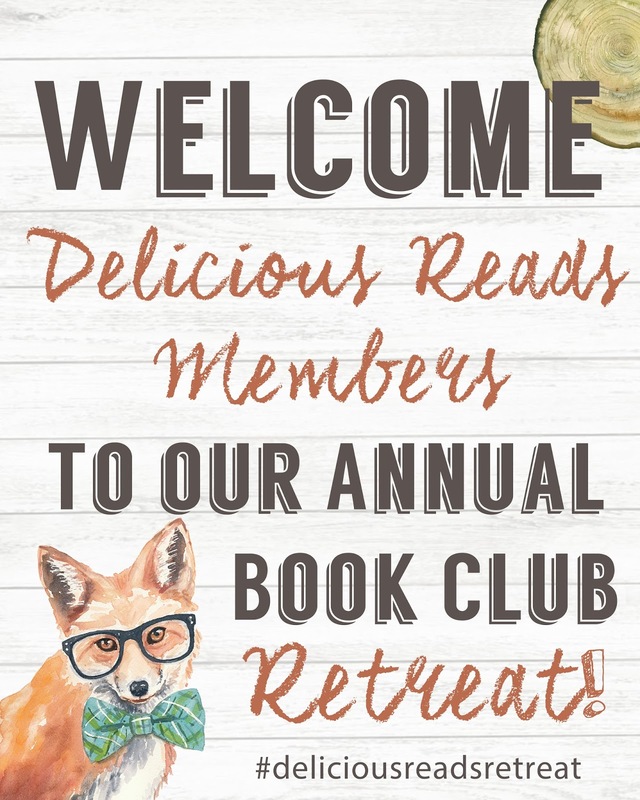 Our retreat is an overnight book club with the majority of our members in attendance where we spend the evening discussing our current book in a cozy cabin in Park City. We stay up talking about our monthly book, giggling, eating, swapping stories, taking pictures and staying up way too late. When we finally awake the next morning, we sit in our pajamas in a big circle and spend hours deciding what books to read in the coming year. I could spend all day talking about how we choose our books but long story short, we always mix up our genres and pick a little of everything. I make sure we pick at least one book from almost every genre and try new things. 7. NOTHING BRINGS PEOPLE TOGETHER LIKE FOOD. 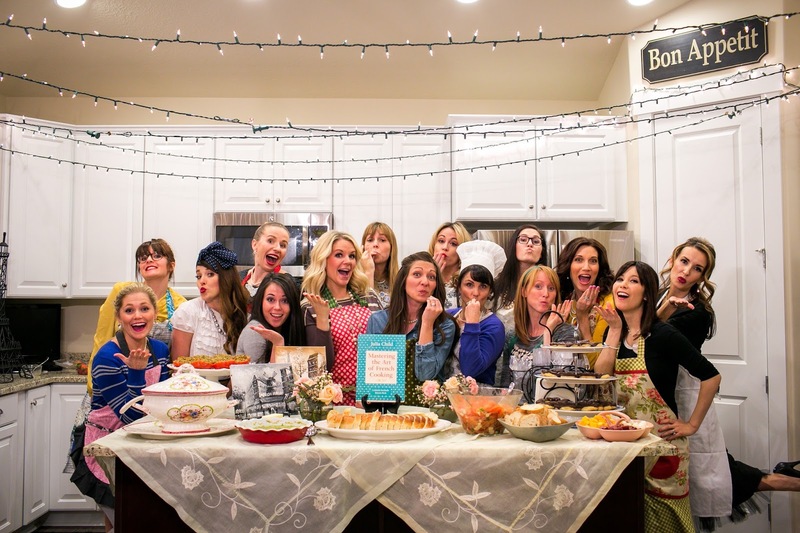 Food is a BIG part of our book club and I believe it should be a part of every book club. 8. BOOK CLUB IS ONLY HALF ABOUT THE BOOKS. We all know that the main function of a book club is to read a book and then discuss it with a diverse group of women with whom you then share your thoughts and opinions with. But if that's all a book club was then you'd start to feel like you were at school right? Book club shouldn't be just about the books, it should be about enjoying a night out with friends and coming home refreshed and uplifted. Book club is only 50% about the books we read and discuss. The other 50% of what book club is about is socializing and creating friendships. In our book club we spend the first hour or so of our time prepping food and doing some serious chatting. We talk, we eat, we laugh, we catch up, and we don’t really talk about the book. But then about an hour (or hour-and-a-half) in, we wrap up our socializing before moving into seriously talking about the book. But that first hour is my FAVORITE part about book club because that's where I've seen the most magic happen. This is the part about running a book club that brings me the most joy and sense of satisfaction for all the work and time I put into it. 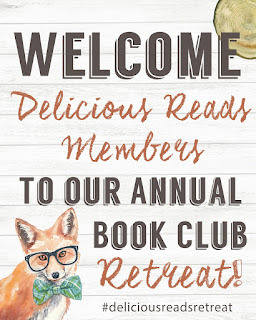 The satisfaction comes from the comments, emails, texts or even thank you letters I've gotten from members over the years telling me how book club has affected them in one way or another. 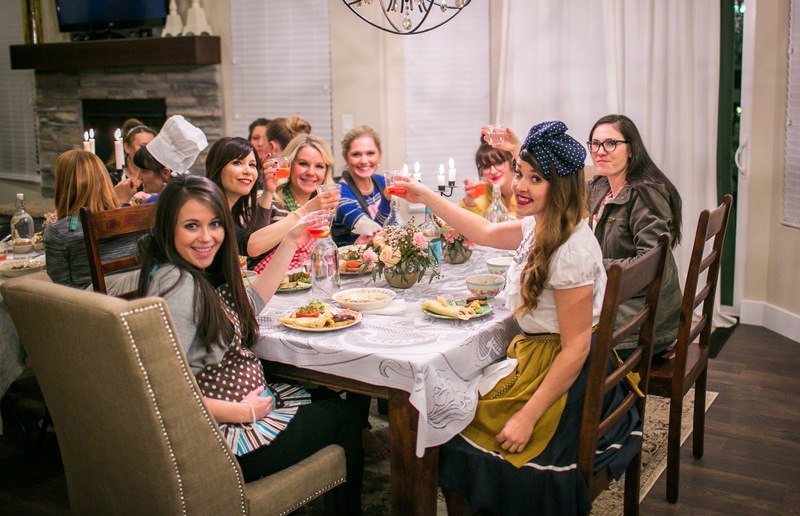 One of my members mentioned that she didn’t have any friends since moving to Utah 6 months previous until she started to coming to book club. Another told me that she was not a reader at all until she starting coming but now she reads a book a week which has also inspired her family to read more. I get ladies who tell me that book club is the only thing they have to look forward to each month, that it’s the only thing they make time for between their kids, jobs, school etc. Sometimes I get a member expressing their gratitude for pushing them outside of their box to read new genres, try new foods and meeting new people. And those are just a fraction of the reasons I love book and my members and that why book club should only be 50% about the book. 9. BEING IN A BOOK CLUB MAKES YOU INTERESTING. Being in a book club makes interesting because it forces you to experience new cultures, new ideas, new foods, all kinds of people, different perspectives, new eras, new friendships, opposing opinions, common interests, shared laughs, sympathetic tears and traveling to new worlds through the pages of a book. Having a new book to read every month keeps your mind open to new possibilities and gives you something to chat about with strangers in line at the store. 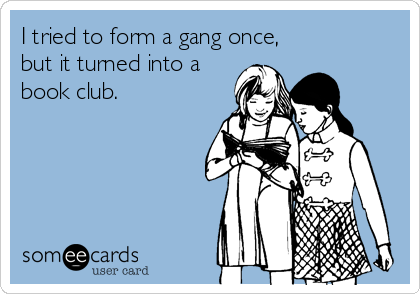 Being in a book club makes you interesting because, YOU'RE IN A BOOK CLUB. That single fact alone is SO COOL to most everyone I tell because I'm doing something different and challenging for my mind. When I started my book club ten years ago it was never my intention to do it because I wanted to be found interesting and well read by others. I did it because I loved to read and I was driving my husband nuts telling him about that REAL vampires don't actually burn up in sunlight, that just a myth, they actually sparkle. Being in a book club and gaining new interests and possibly, being found more interesting, is just an awesome perk. 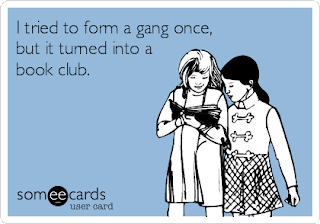 So go, join a book club and be even more interesting and awesome. 10. MEMBERS COME AND MEMBERS GO. One of the hardest lessons I've learned running my book club for the last 10 years is that members come and members go. I've come to accept that having member turn-over in our book club is a natural process and it's nothing to fret about. I can't take it personally if someone enjoyed being in our group for a couple years before deciding they needed to do something different with their time. I can't worry about every person who comes once and then never again (even though I still remind them they are always welcome.) I've learned that members come and members go but as long as they and I continue to feel enriched, supported, encouraged, connected and loved attending, then that's all I care about. I hope my experiences running a book club have helped you in some small way and I thank you for taking the time to read my NOVEL. Please leave comments and questions and I'll happily reply back! Love this and you so much and so grateful that you started such a wonderful place for us to belong! We couldn't ask for a better book club high wizard! I'm into my 2nd year being in charge of a 4-yr-old club. I just learned more in a few minutes of reading this post than I have in hours of researching other places. Thanx a ton for the time you took to put this all together! You seem fun & adorable! 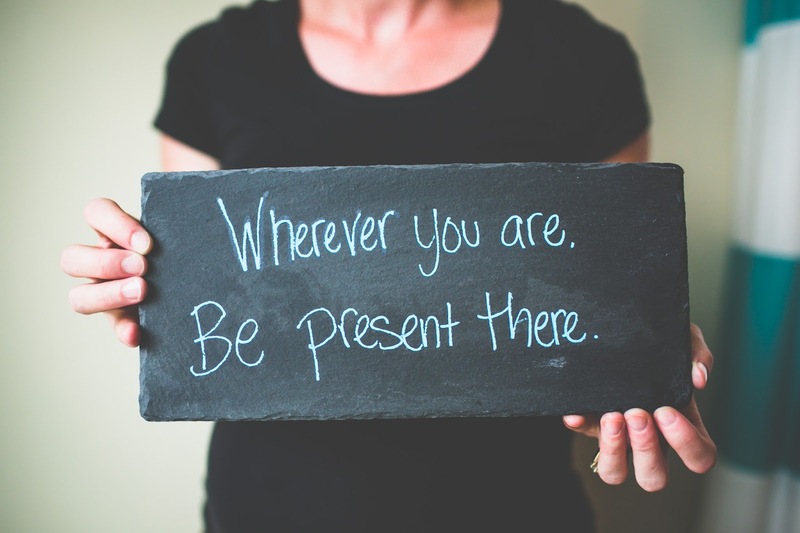 Fabulous post and so helpful to others just starting out! 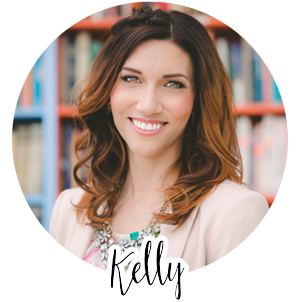 Love your passion for reading and your desire to share your wisdom and experience of running a successful book club with everyone. Thanks for sharing your story! Thanks Summer, I'm SO grateful that you're in our club! Julie, you just made my day with your sweet comment, thank you and let me know if you ever have book club questions! I am just starting a book club and this was so helpful! I am nervous about keeping it going because everyone is so excited right now! I am sure it will evolve and I will learn so much. Thank you for this wonderful post!